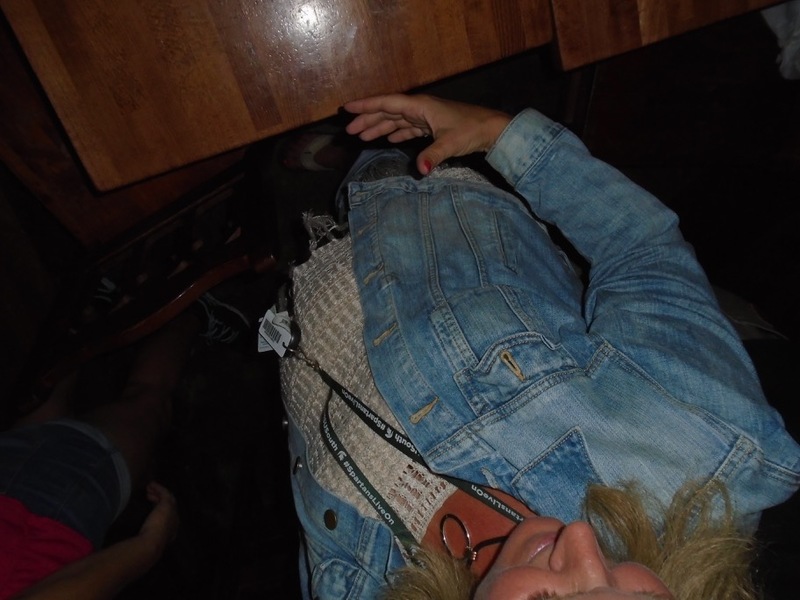 Well it kinda happened just like we thought it would. At 9PM there were two big reserved tables ... one for the "Guiness Cup Golf League", the other for a wedding rehearsal dinner ... and the rest of the place was our friend as we all waited for the Harvest Moon Festival down the street to dismiss the Beer Tent. 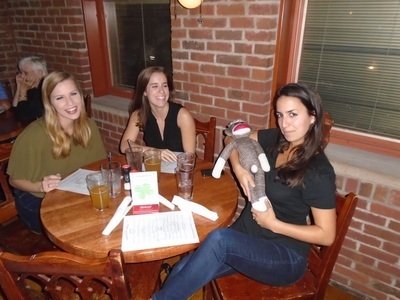 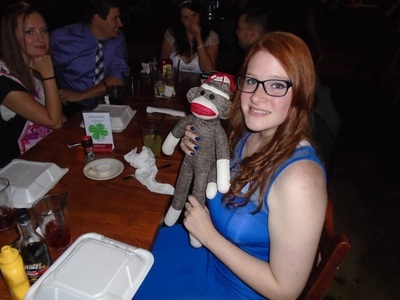 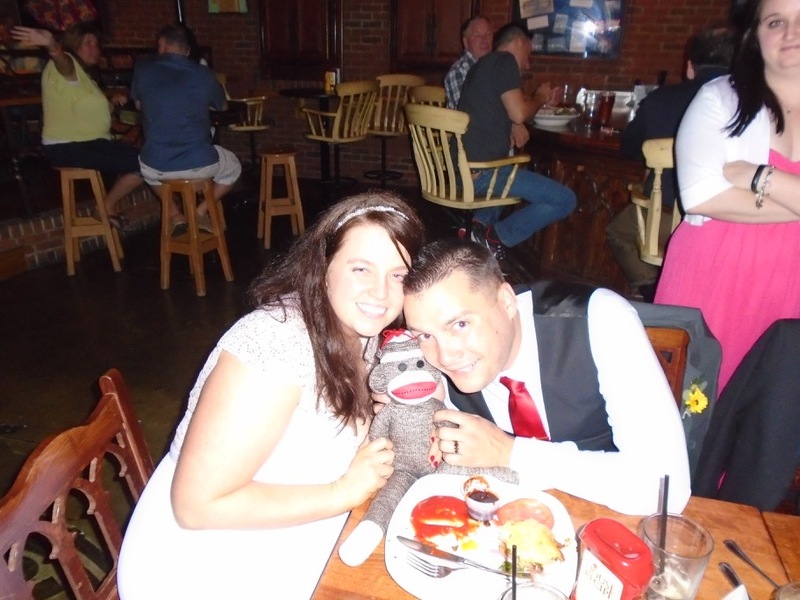 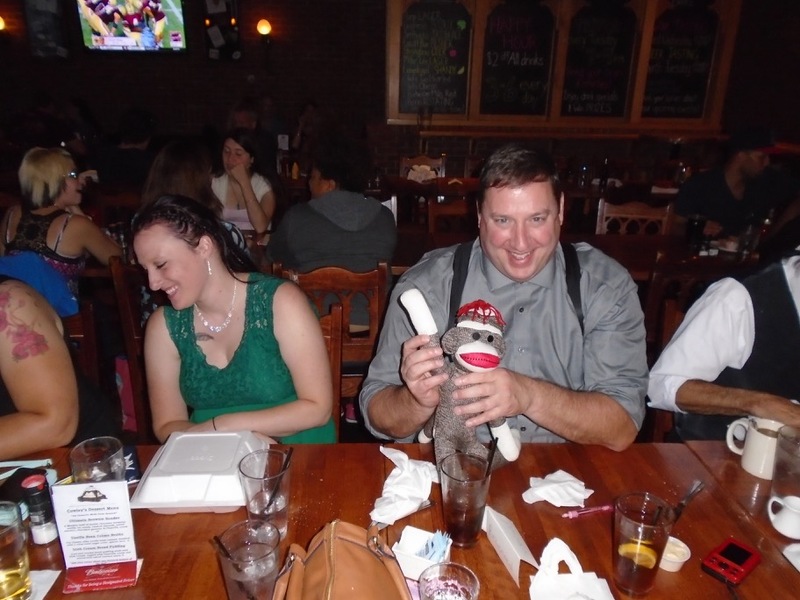 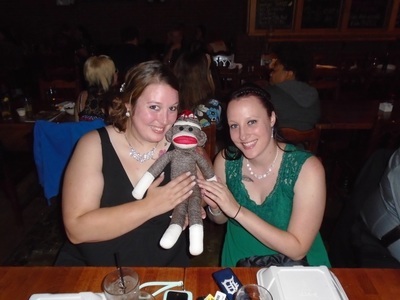 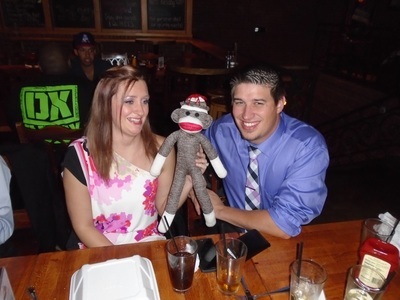 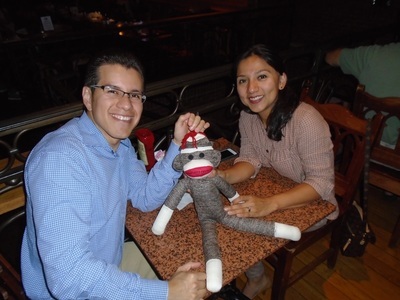 Brand New Sock Monkey was instantly soiled when the Bride accidentally dipped his foot in her ketchup, then on her gown, then for this picture. 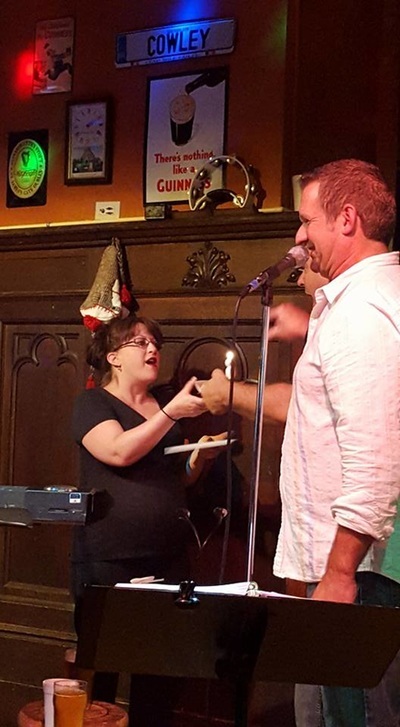 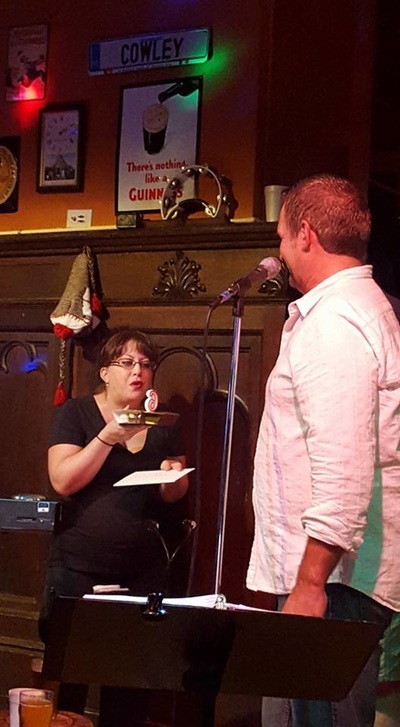 We presented our 6th Beer Emily with a present for her birthday on stage. 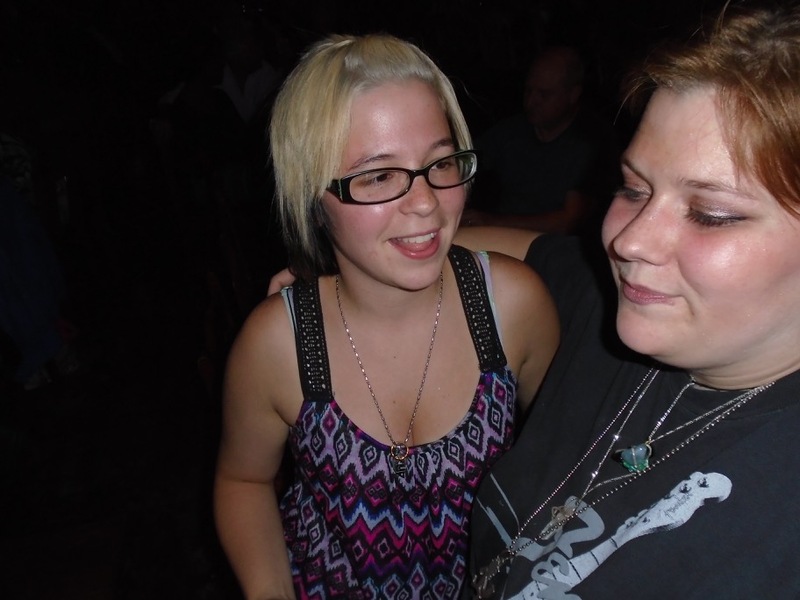 There were some early Beer Tent patrons on site who hit the dance floor for set one. We started set two and that's when karma doubled down. 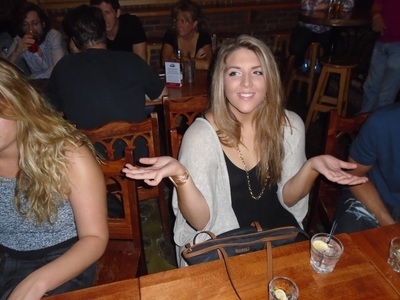 Not only the did the Beer Tent close, a thunderstorm began and everyone ran into Cowley's. 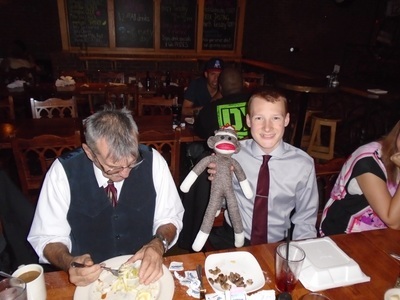 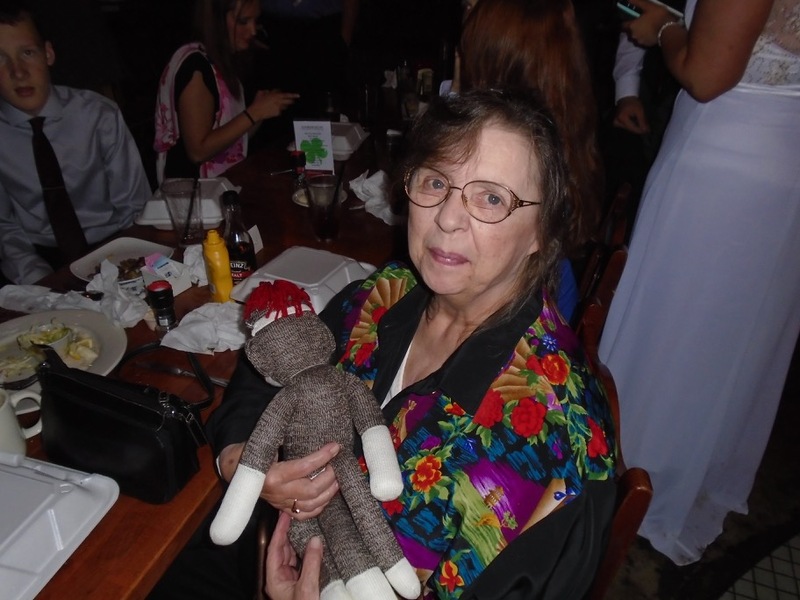 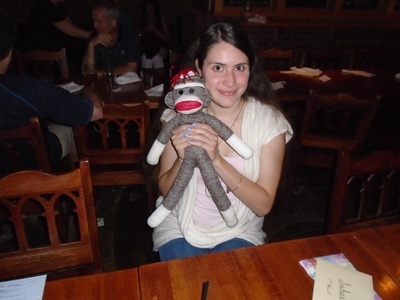 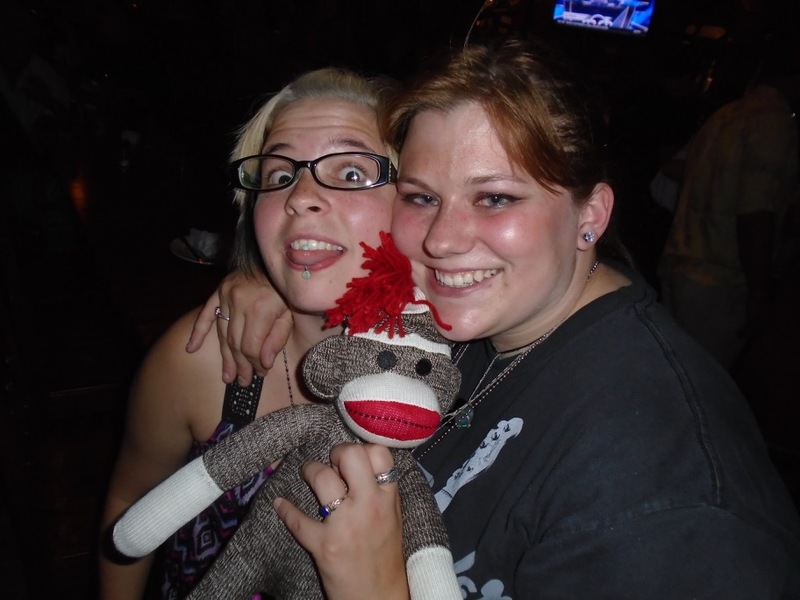 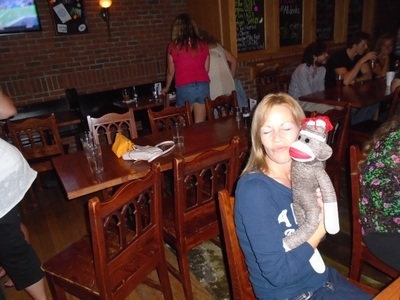 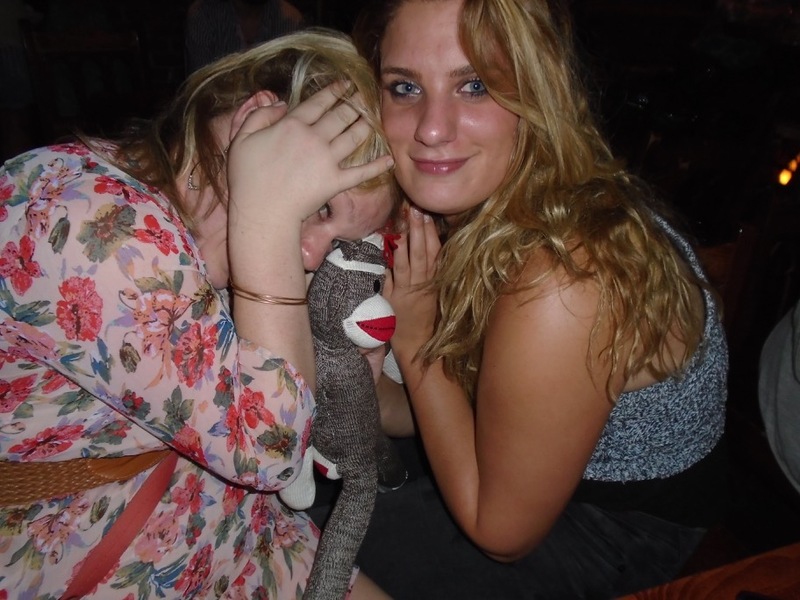 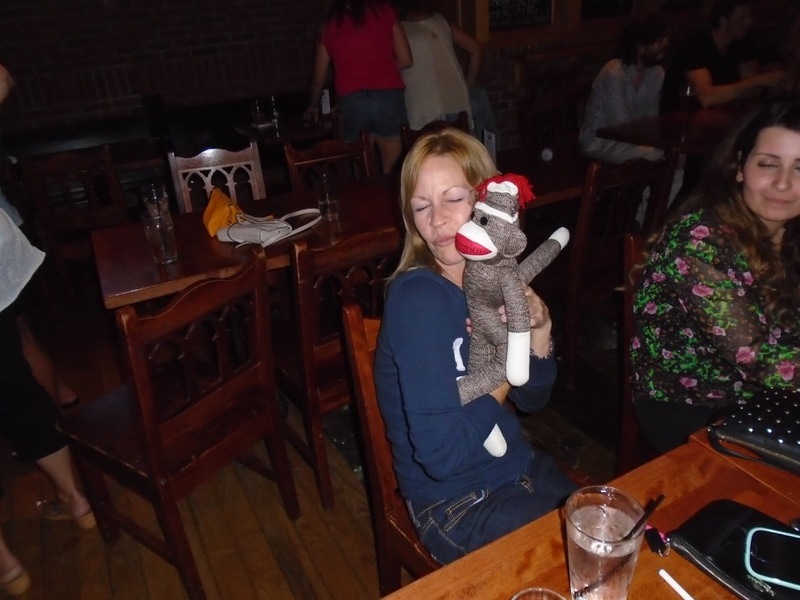 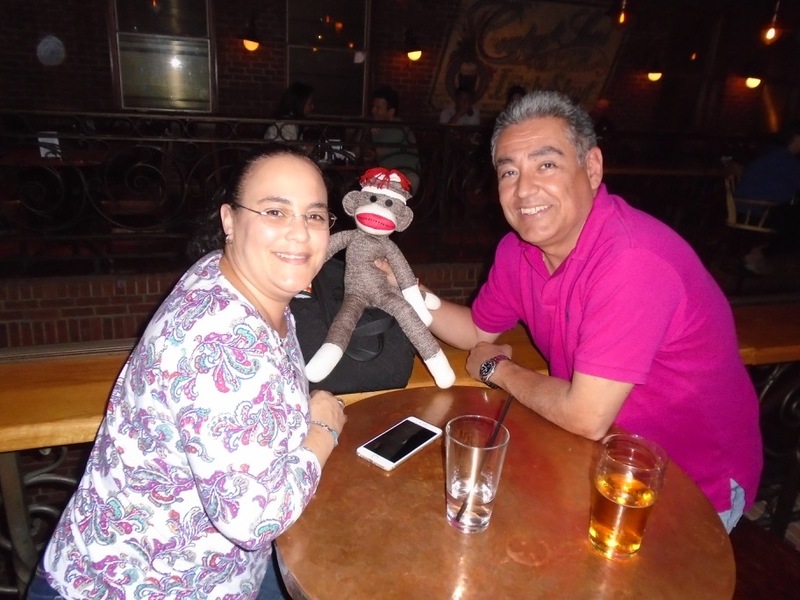 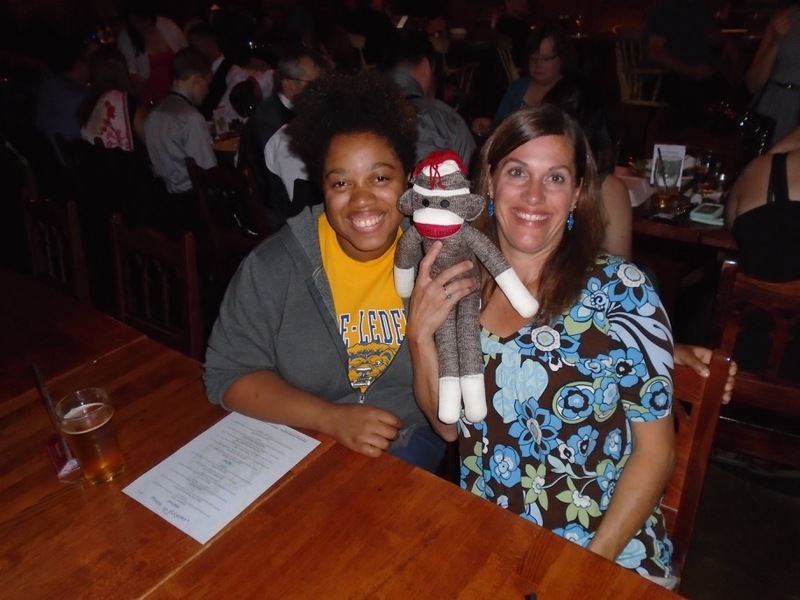 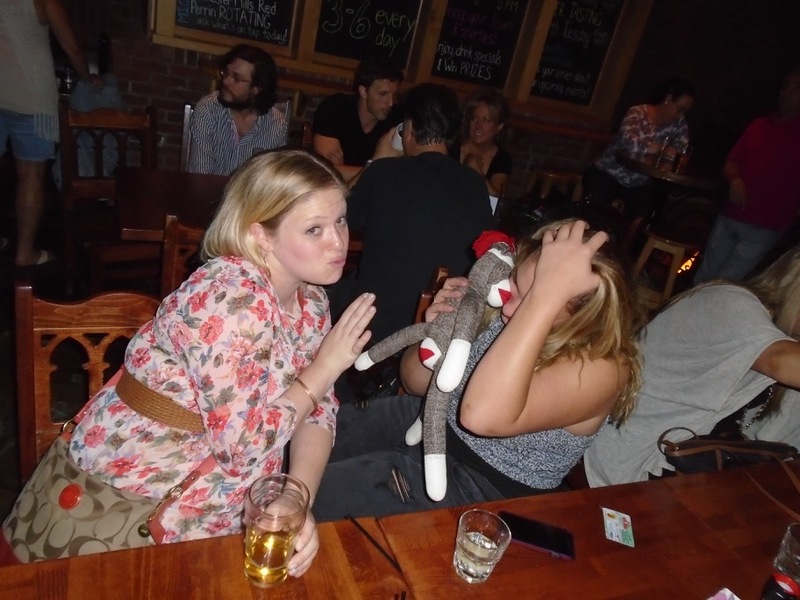 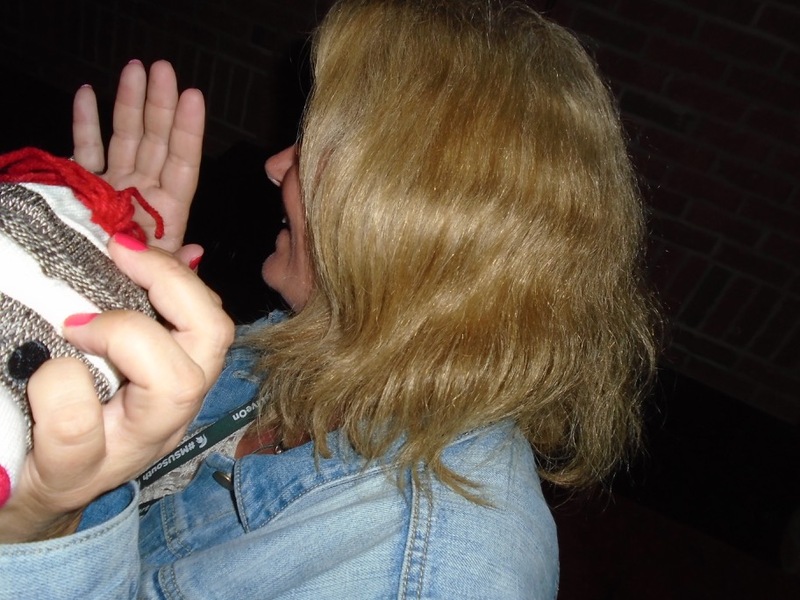 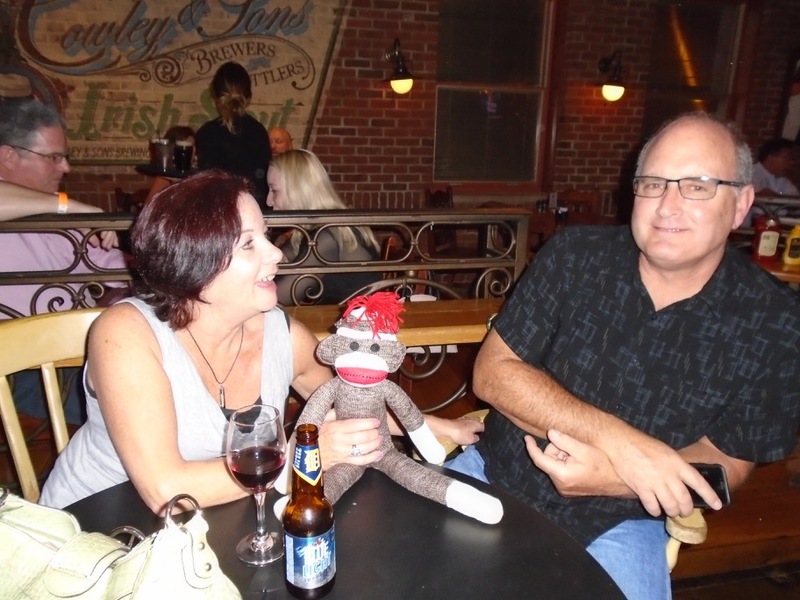 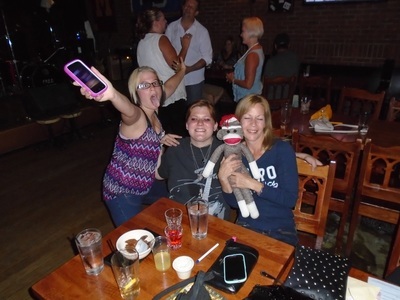 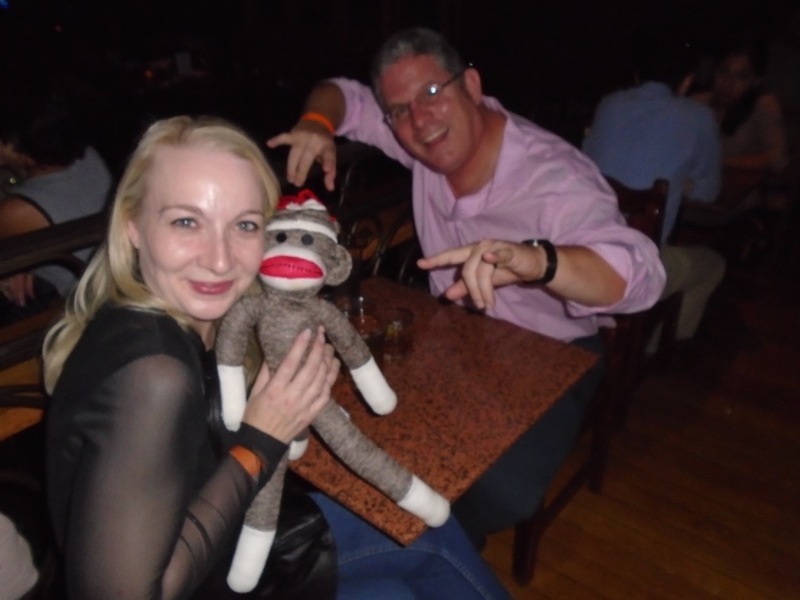 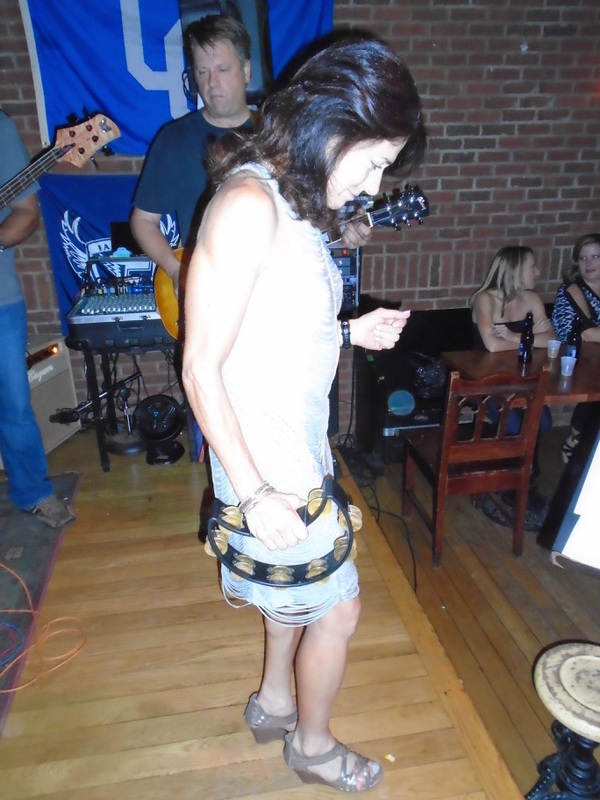 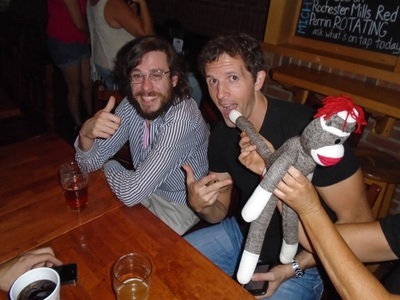 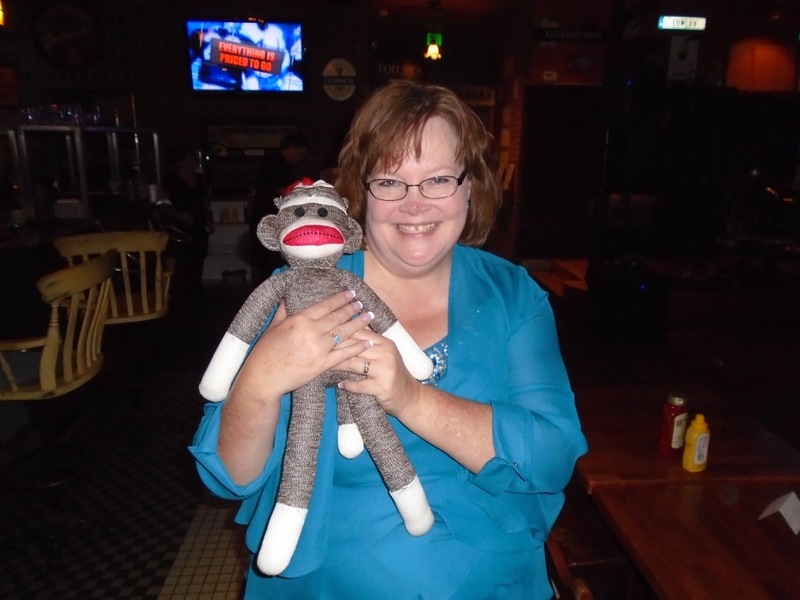 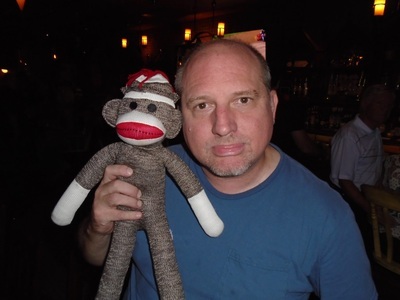 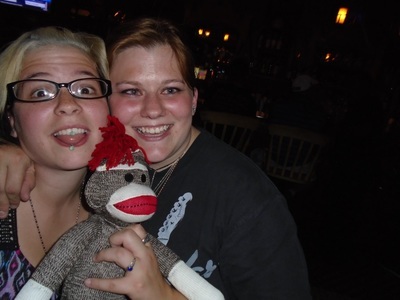 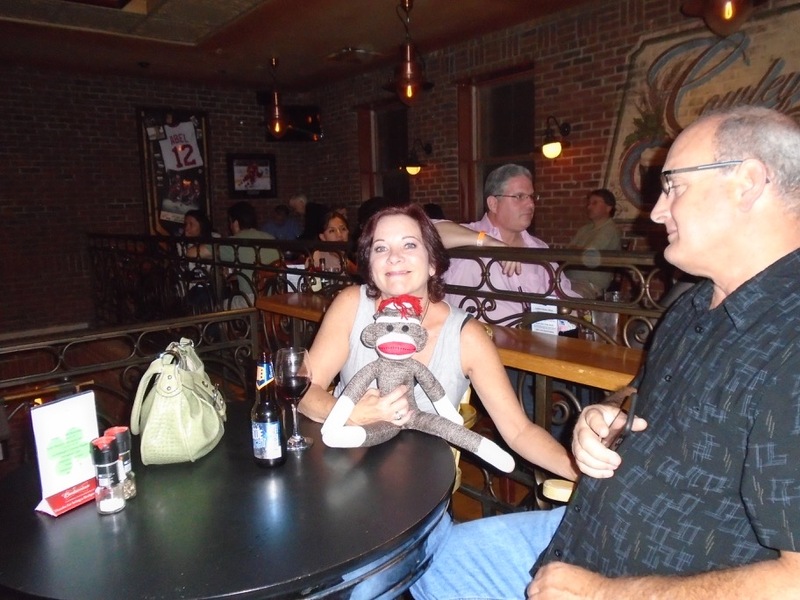 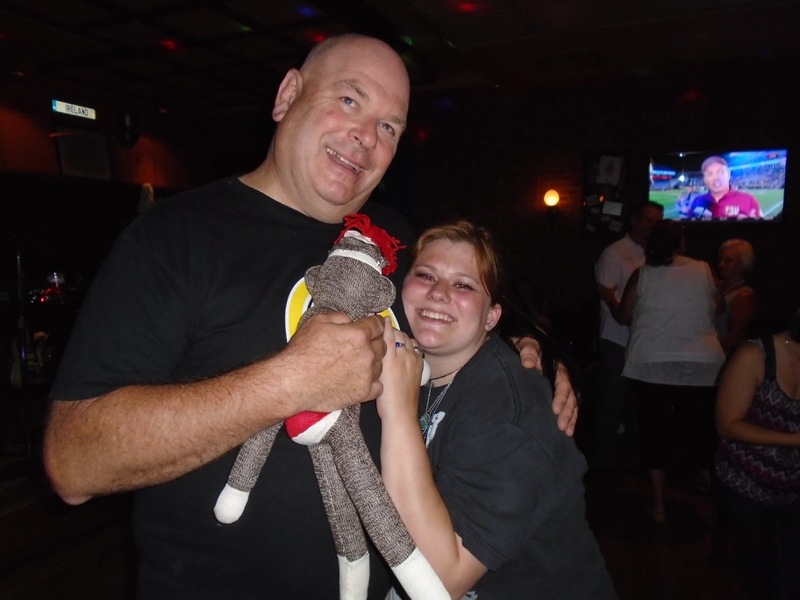 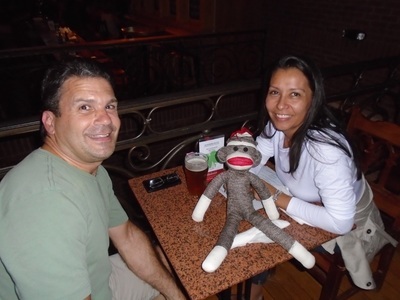 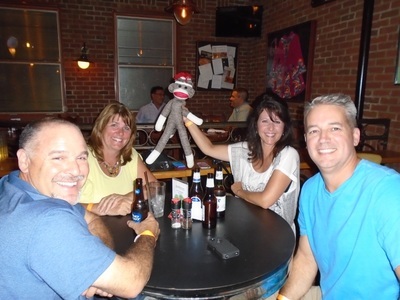 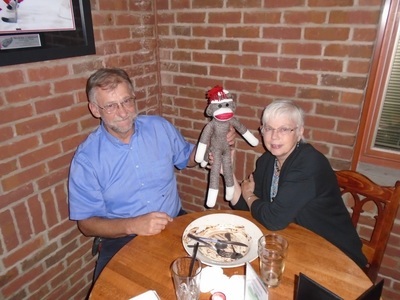 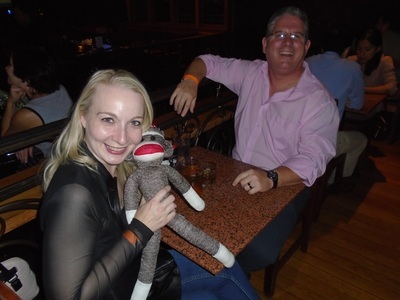 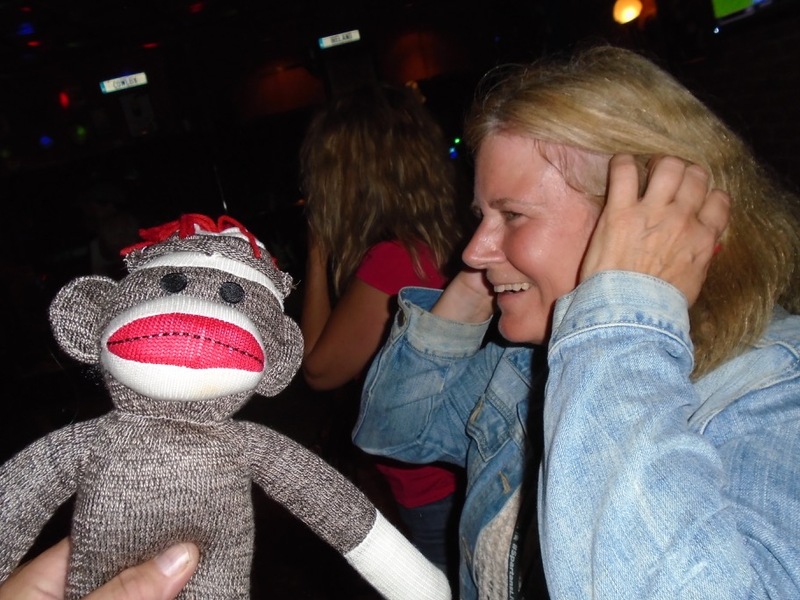 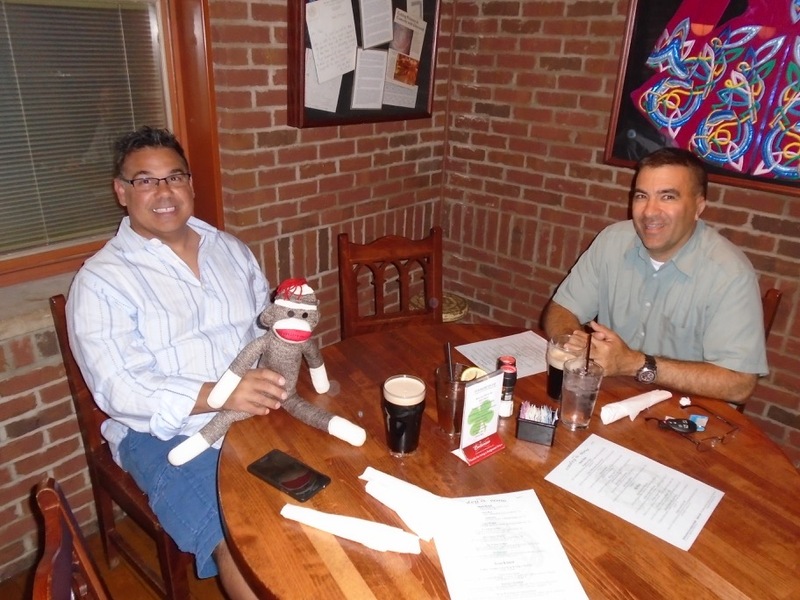 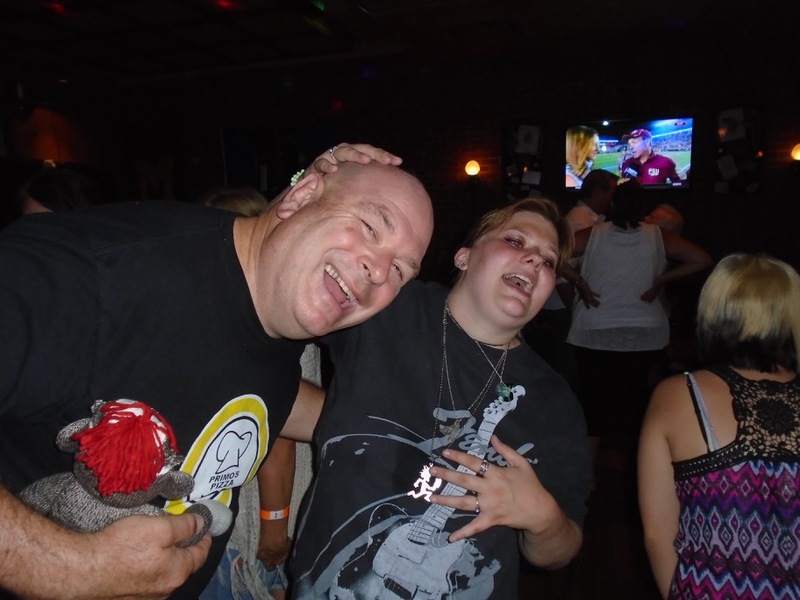 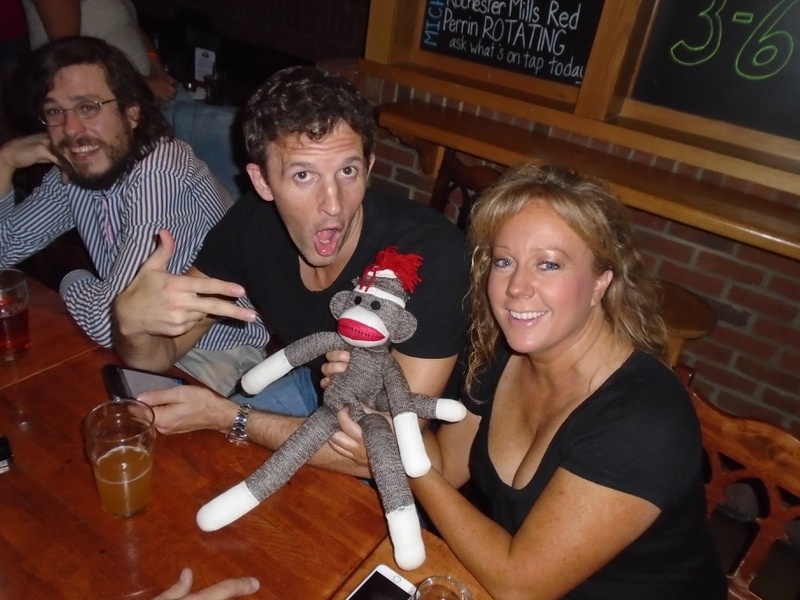 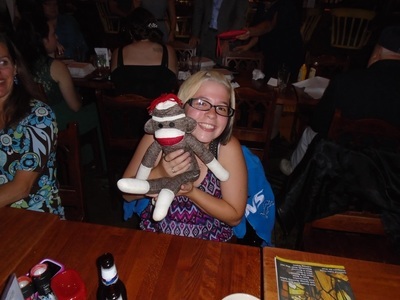 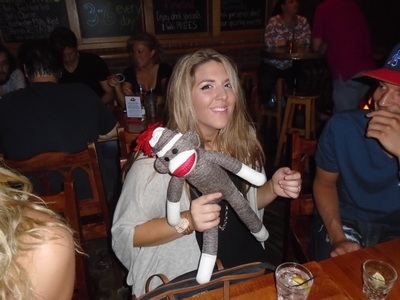 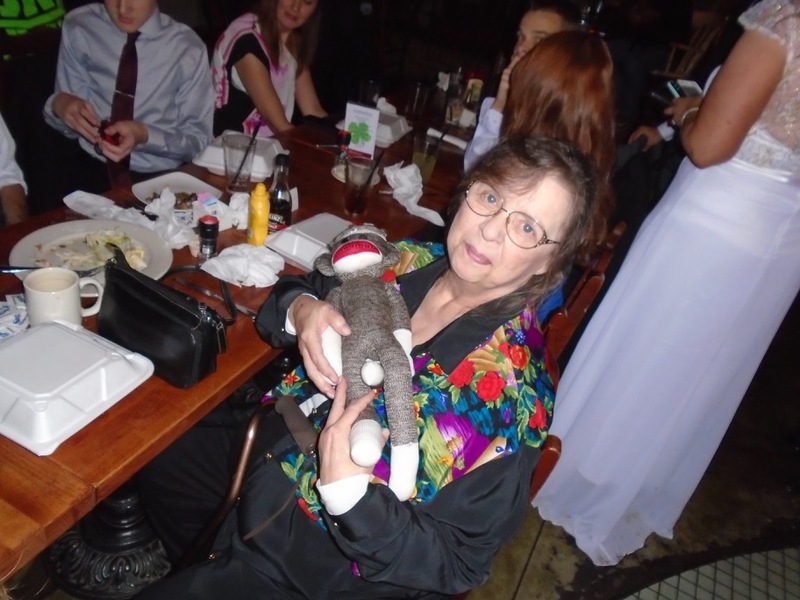 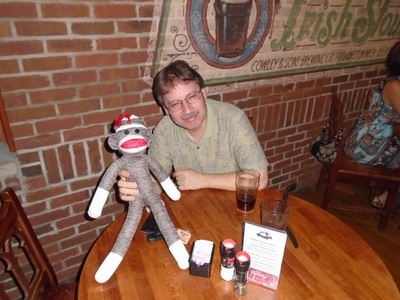 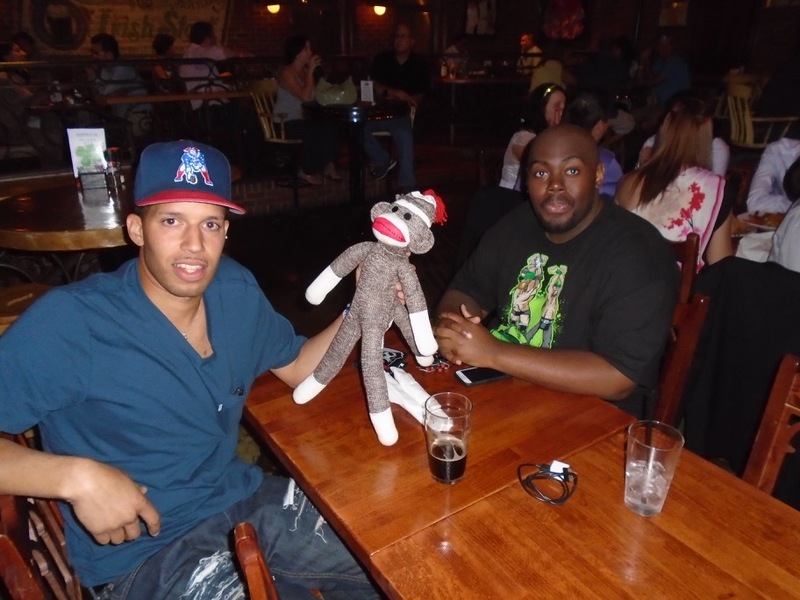 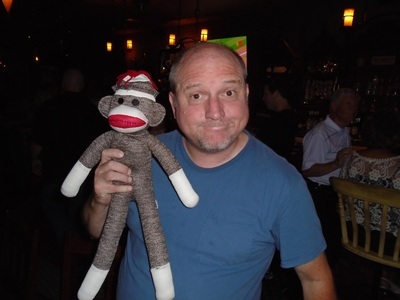 There was one "ugly" incident when a fan tried to steal the Sock Monkey, but Patty Brown fought her off and returned the Sock Monkey to it's rightful owner!